Starring one of the hottest boy bands in America, "Jonas Brothers: The 3D Concert Experience" lets you experience the Jonas Brothers in a whole new way. From concert footage to behind-the-scenes, you will feel like part of the family on tour. 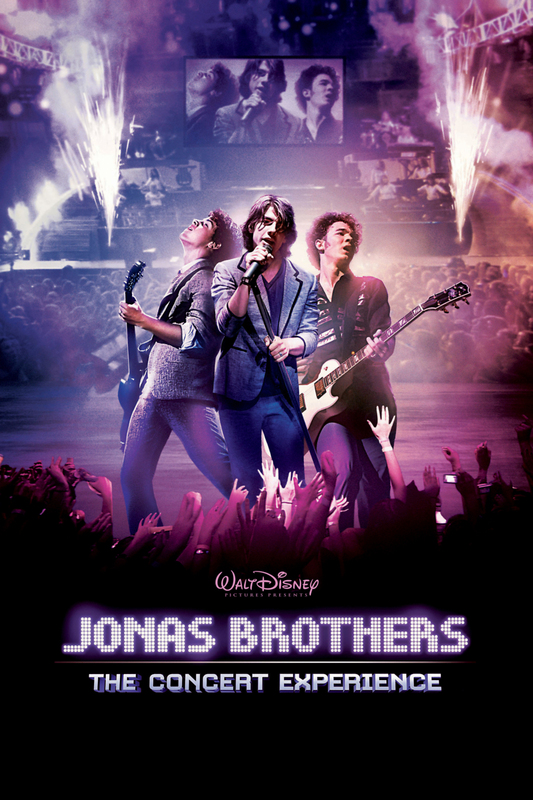 This Walt Disney Pictures production was filmed during the Jonas Brothers "Burning Up" concert tour in 2008. By utilizing spectacular 3D, and multiple camera angles, you can feel as if you are truly experiencing a thrilling concert live. You will also be taken behind the scenes as you see some of what goes into preparing for the tour, and follow the Jonas Brothers on backstage adventures and fun times. Highlighting fifteen songs such as "Tonight", and "Video Girl", "Jonas Brothers: The 3D Concert Experience" also features guest performances from Taylor Swift and Demi Lovato.